Adam Rapp’s first novel, Missing The Piano, was named a Best Book for Young Adults as well as a Best Book for Reluctant Readers by the American Library Association. His subsequent titles include The Buffalo Tree, The Copper Elephant, and Little Chicago, which was chosen as a New York Public Library Book for the Teen Age. The author’s raw, stream-of-consciousness writing style has earned him critical acclaim. “Rapp’s prose is powerful, graphic, and haunting,” says School Library Journal. “[He] writes in an earthy but adept language,” says Kirkus Reviews. “Takes a mesmerizing hold on the reader,” adds The Horn Book magazine. 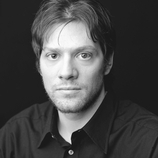 Adam Rapp’s other novels include the 2010 Michael L. Printz Honor Book Punzilla, as well as The Children and the Wolves.